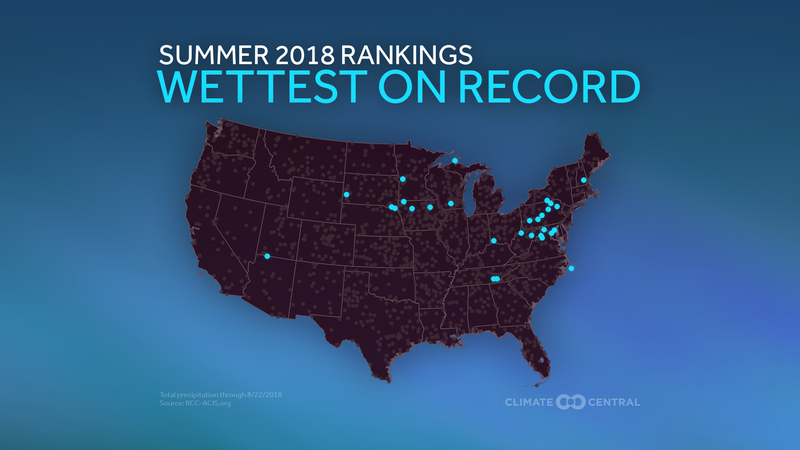 Hottest U.S. cities on record this summer. 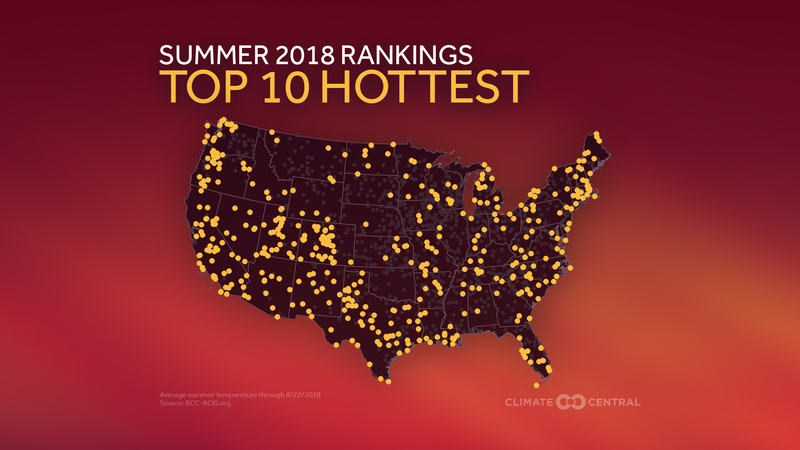 Top 10 hottest U.S. cities on record this summer. 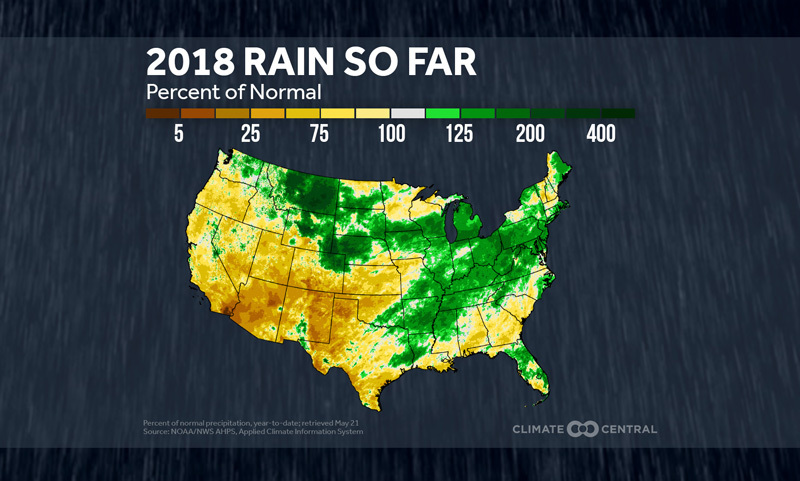 Wettest U.S. cities on record this summer. 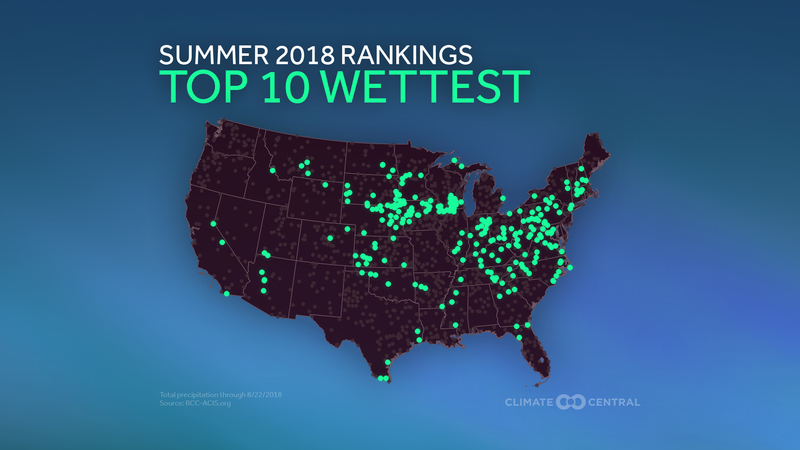 Top 10 wettest U.S. cities on record this summer. Nearly all states across the U.S. have sites with one of their 10 hottest summers on record, but the core of the heat has been in the Southwest, and that continues to play a role in the devastating wildfire season in California. The Mendocino Complex fire north of San Francisco is the largest on record in the Golden State. At 422,000 acres, that size translates to 660 square miles, or a little more than half of the state of Rhode Island. This summer has also brought the Carr Fire, the state’s seventh largest on record near the city of Redding. In a warming climate, there is more drying of vegetation, providing more fuel for fires in the West. In fact, five of the seven largest fires on record in California have come since 2012. 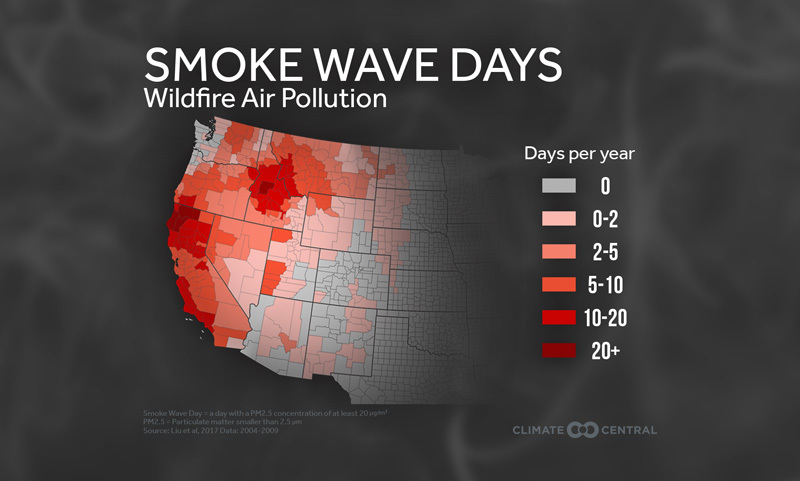 The smoke from the western wildfires has worsened air quality in much of the country, which is more than just an eyesore, it affects human health. Methodology: Temperature and precipitation data area from the Applied Climate Information System and the Southeast Regional Climate Center Climate Perspectives tool. Data is through August 22. California wildfire statistics are from California Department of Forestry and Fire Protection (Cal Fire). 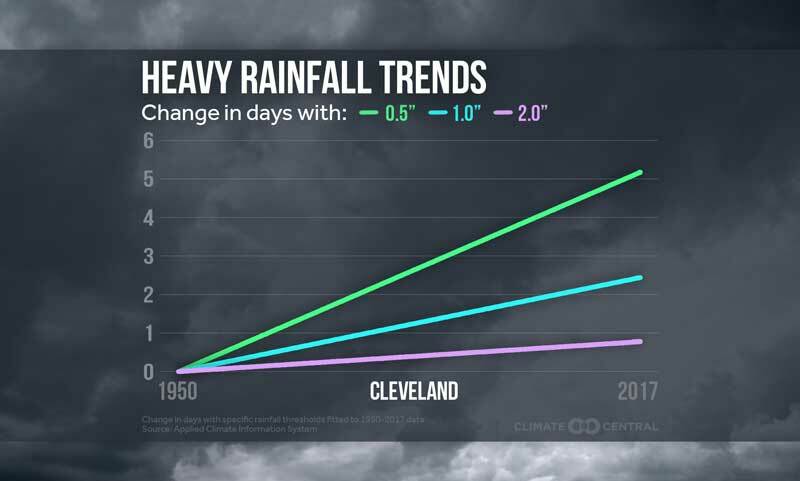 Fall Warming Trends Across the U.S.